When you’re just starting a business, you have to hustle as much as you can. You might have to blast out hundreds of cold e-mails a day to get customers, cold call potential partners, and do anything to make the business successful. There’s basically no real structure at the beginning. But as time goes on, you realize that what got you to level one is not what’s going to get you to level two. The factors you need to focus on in order to grow your brand are different from what you focused on to get it off the ground. One of the most helpful systems you can implement in your business to boost conversions and revenues is a marketing funnel. 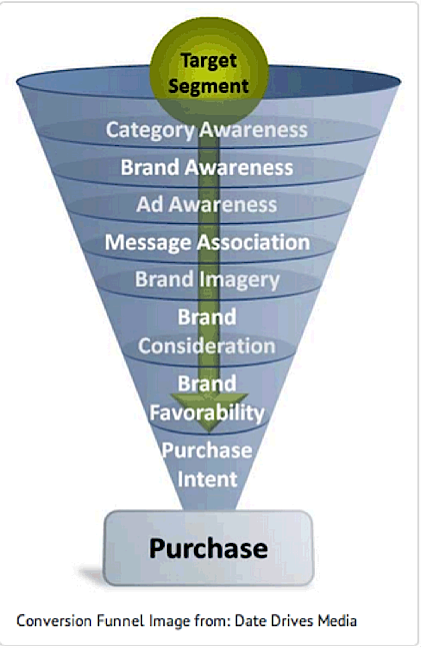 A funnel is essentially a sequence of steps that prospective customers take before they become paying customers. When you’re in the startup stage of your business, it might be okay to follow random tactics to get customers however you can. But the problem with an unstructured approach is that you have no idea where in your process you’re losing customers. For example, you might be writing really good blog posts to get your company’s name in front of more prospects, but maybe your call to action isn’t strong enough to convert readers into subscribers. Or maybe you’re able to get a large amount of leads on your e-mail list, but your e-mail sequence isn’t doing a good job of converting them into paying customers. Without a structured marketing funnel, there’s no way to know, and that means you could be leaving tens of thousands of dollars on the table. In this post, we’ll talk about what a marketing funnel is and how to build one for your own business. 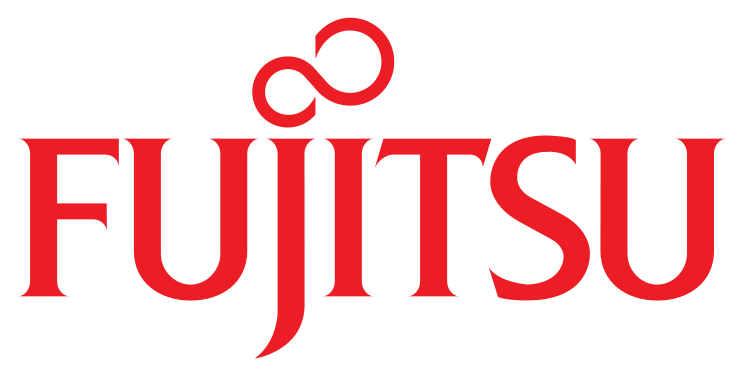 We’ll also dig into some case studies of companies that grew their brand by tweaking different parts of their funnel. A marketing funnel outlines the path that a potential customer goes down from beginning to end — from the time they first hear about your product to the time that they purchase it. Once you have a funnel structure in place, you can start analyzing each step in further detail to figure out where you could be optimizing in order to increase conversions. Here’s a diagram that shows the overall structure of a funnel. Marketing at this stage of the funnel is aimed at reaching the largest number of potential customers as possible. 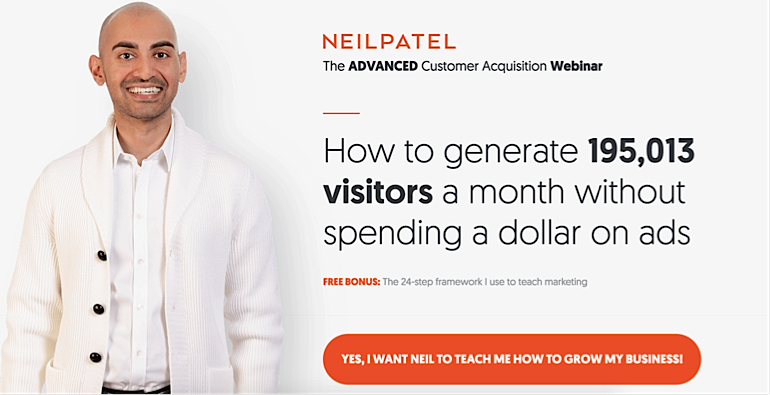 Free Bonus Download: Get ready to receive more actionable info on increasing your conversion rate – tips not found in this post! Click here to download it free. Finally, after customers have become aware of your product, are interested, and have evaluated your product against competitors, it comes time to actually make the decision to buy. Different types of businesses have different steps in their funnel. It just depends on what you want to analyze. When you build a systematic, step-by-step funnel, you can gather data on customer behavior at each step so you know exactly what you have to improve to boost your conversions instead of just guessing. For example, if you find that a high percentage of customers are moving from the interest phase to the evaluation phase, then you know that you just have to get more people into the top of the funnel. 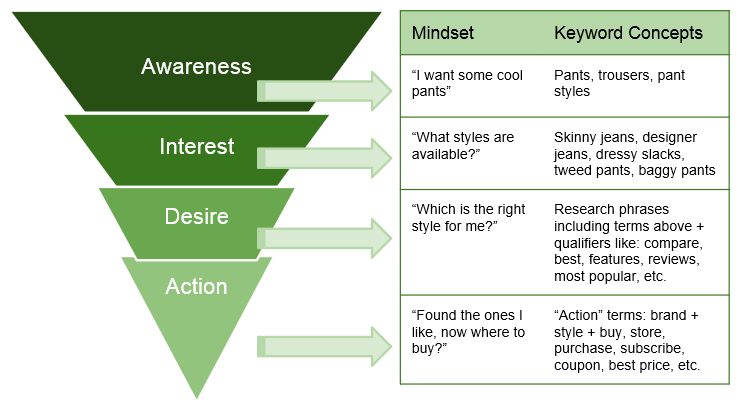 If you’re getting lots of people into the top of the funnel but you find that only a small percentage convert to the interest stage, then you know that you have to adjust your awareness-level content and focus on getting more targeted traffic. If your funnel is converting perfectly until your leads ask for a demo or a sales call, then you know that you have to improve your process around closing the deal. A well-structured funnel shows you the highest-leverage activities you could spend your time on in order to increase your bottom line. There are different types of data that businesses measure in their funnels, but for now, I’ll show you how to apply the simple framework we talked about above. The first step is to get your product in front of a wide range of potential customers. As I mentioned earlier, some common forms of marketing at this stage are blogging, paid advertising, and SEO. Once users click on the ad, they’re taken to a landing page where they have the option to download a free e-book in exchange for their e-mail address. Through Facebook ads, you can get very specific in your targeting so that you reach the right people in the awareness stage. With Facebook’s Lookalike Audience feature, you can get your ads in front of users who are similar to your current customers — which increases the likelihood of purchase. 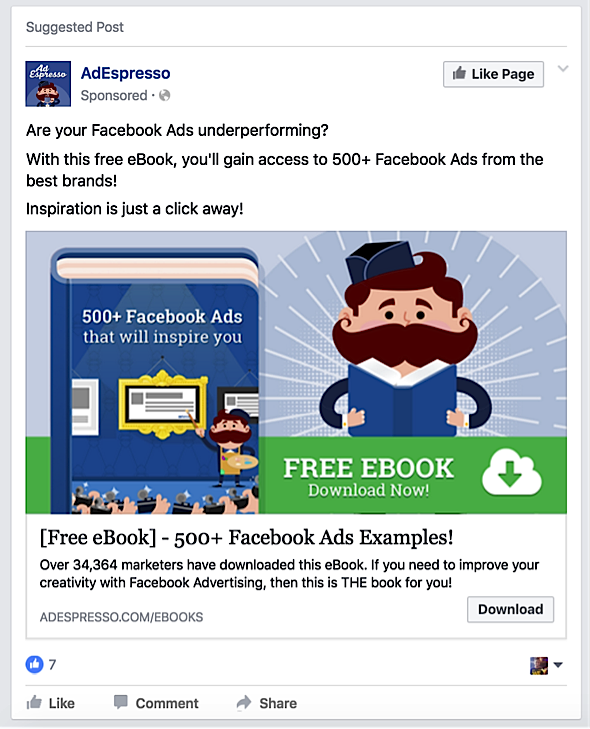 According to AdEspresso, one of the best uses of Facebook ads is to get more leads and e-mail subscribers — in other words, help customers transition from the awareness stage to the interest stage. Another way to get your business in front of more customers in the awareness stage is by writing high-quality content that gets ranked in search engines. This way, when customers search for content related to your business, you’ll be the first result they see in the SERPs. According to Infront Webworks, the average listing on page one of Google gets 30% of all click-through traffic. Depending on the search terms that you’re ranking for, that could give you a massive boost in awareness for your business — and, if your funnel works properly, more revenue added to your bottom line. 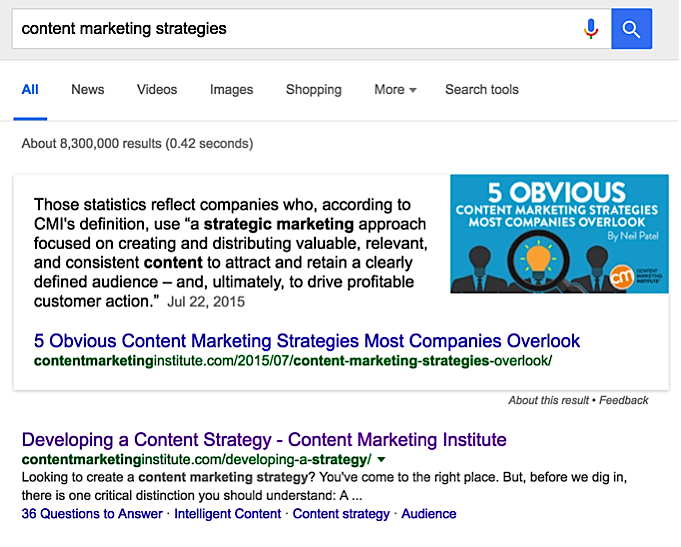 The first organic result is from the Content Marketing Institute. Because they’ve ranked high for content marketing search terms, they get a lot of targeted traffic into the awareness stage of their funnel. Once you get people into the awareness stage of your funnel, the next step is to keep them engaged and interested so that they come back. One of the best ways to transition from the awareness to the interest phase is by collecting e-mail addresses. You could have an option at the bottom of your blog posts for readers to sign up for your e-mail list or drive cold traffic to an opt-in landing page to collect addresses. This way, you’re generating leads for your business while also seeing how many people are interested in what your business has to offer. This is a systematic way to move customers from one stage to the next. 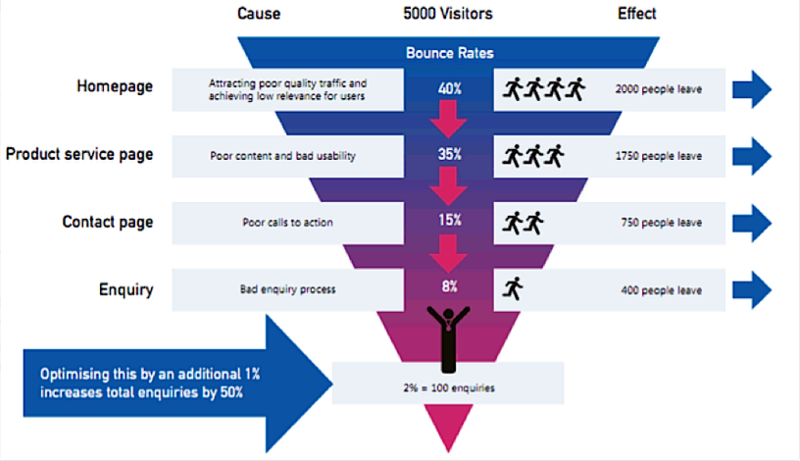 When you break it down like this, you also know exactly how to improve conversions at each step. For example, if the Content Marketing Institute notices that they get high click-through rates on their blog post but a low number of subscribers, then they know that they need to adjust their call to action. If you’re running Facebook ads and you’re getting high click-through rates but low registration rates, you know you have to tweak the landing page. Once you have customers interested in your product, the next step is to transition them to the evaluation stage. At this stage, they’ll want to know more about your product and how well it has worked for others, plus the content to guide them into the purchase process. Since you already have their e-mail address, the best way to transition them to the evaluation stage is through an autoresponder sequence. E-mail autoresponders are not only a great way to consistently deliver high-quality content directly to your audience, but they can also help you build a closer relationship with them as you move them towards a purchase in a way that you can’t with other platforms. 1) Include proof and credibility. 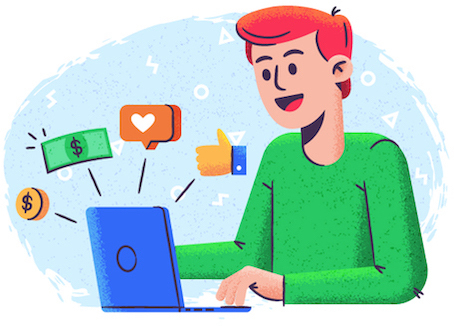 Because you’re trying to push your customers towards a sale, it’s important to include as much social proof and credibility as you can throughout your autoresponder sequence. You might send your leads case studies of successful customers, testimonials, or any high profile blogs you’ve been a part of. Just wanted to write you quickly to help me congratulate Charlie. He just purchased [product name], spent about an hour going through the material and started to implement. 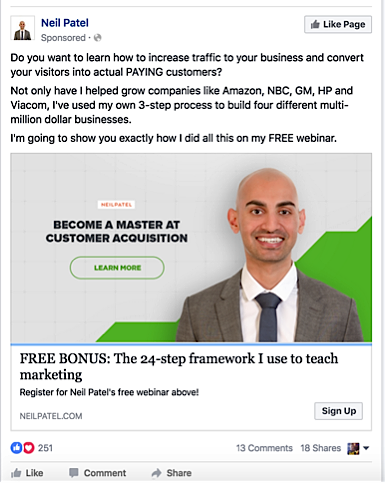 Specifically he implemented a technique in module 2 that shows you how to [insert benefit your target audience wants to achieve] without [pain point]. Just one week later he [insert benefit your target audience wants to achieve]. From there, you can write about how your readers can have similar success. 2) Build trust. Including stories in your blog posts are a great way to show that you’re trustworthy, and also build a deeper relationship with your audience. I just got off the phone with a customer. They were complaining to me about the lack of integrity in our industry. I agreed! I won’t name names, but they told me how they caught one of my competitors in a flat-out lie. Apparently my competitor [insert story about their lie]. From there they transition into why they’re more trustworthy. 3) Mapping the autoresponder. 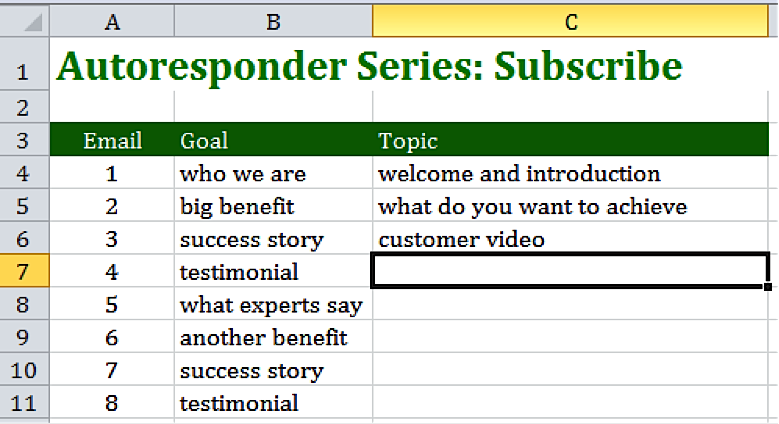 The next step is to map out an autoresponder sequence to help customers evaluate your product. According to CrazyEgg, your e-mail sequence should be based around persuasion triggers. For example, a persuasion trigger could be a strong client testimonial or some amazing results you got for a customer. Each week, incorporate a series of persuasion triggers into your e-mails, and find stories that incorporate that week’s trigger into your messages. Once you master the basics, you can get into more advanced strategies like crafting tripwire offers, upsells, retargeting sequences, and more. The main benefit of working with marketing funnels is how easy it becomes to improve your conversion rates after you collect data. Once you know where dropoff occurs in the process, you’ll know exactly what you have to do to patch it up. For some examples of companies that have done just that, check out a recent post of ours called 6 Cold Email Case Studies with Great Reply Rates. Marketing funnels help you systematically improve your conversion rates by smoothly guiding customers from the awareness stage all the way up to getting ready for purchase. Low click through rates. In the awareness stage, if you’re seeing low click-through rates on your ads or your blog content, then it could be a sign that your headline/ad copy isn’t targeted enough for your audience. If this is the case, you know that you have to either tweak the audience you’re going after or adjust your copy. Low subscribe rates. When transitioning from the awareness to the interest stage, the key metric is measuring how many people convert from your website to your e-mail list. If you’re seeing low subscribe rates, then chances are you need to make your opt-in copy more appealing. Low open rates. Once you get customers on your e-mail list, the next step is to build a trustworthy relationship with them over time so they remember you first when they’re ready to buy. If you’re seeing low open rates, then chances are the content you’re sending your readers isn’t as relevant as it could be. By measuring a few specific metrics at each step of your marketing funnel, it’s just a matter of testing and tweaking over time until you start seeing impressive data on converting your site visitors into paying customers. Test out building a funnel of your own, and let us know your results in the comments below.